The #1 indicator of a lasting, successful recovery is length of time in treatment. Period. A second critical factor is neutralizing the urges and cravings to use opiates or take pills in the early months of recovery. This program excels at both. 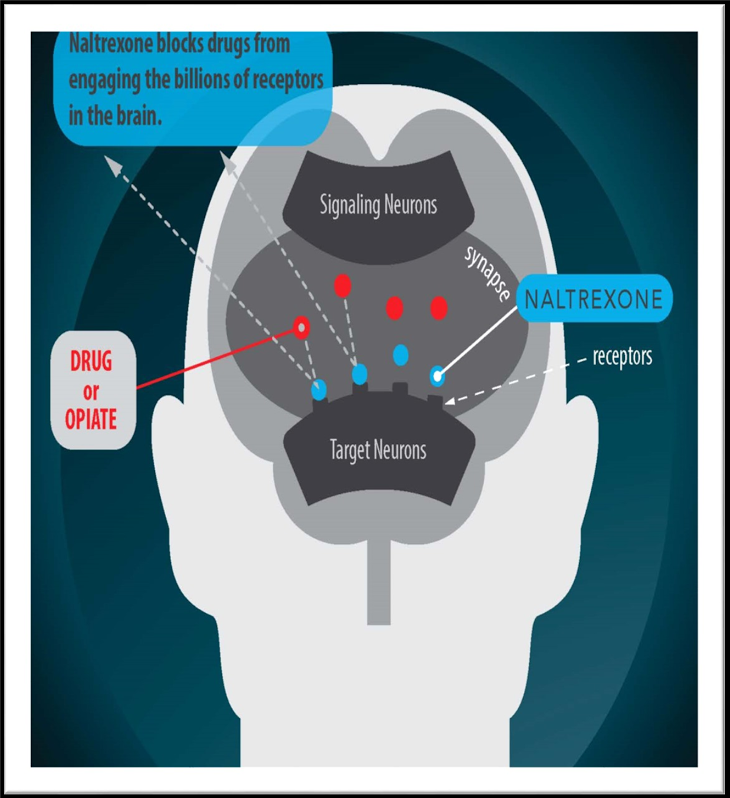 The Naltrexone pellet not only stops those powerful desires for these drugs that keep us locked in active addiction, but blocks their ‘pleasure effect’ as well. What’s more, traditional treatment lasts only 30 days while our Counseling, Coaching and Support extend to a full year…and within your everyday daily life. The simple fact is, most people just don’t make it beyond the first six months of attempted sobriety. 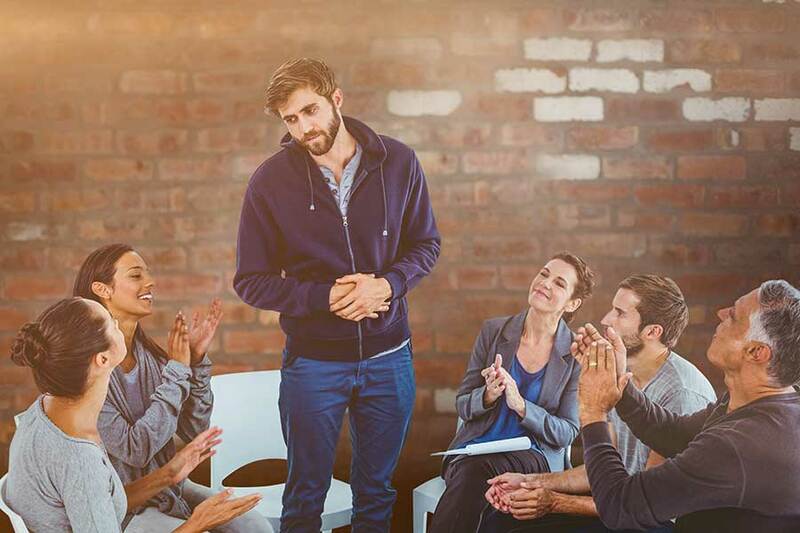 Of those who go through conventional treatment programs, statistics show nearly 30% relapse within 30 days and roughly 80% relapse within the first year. Many can’t even make it a day or a week. The ‘need’ or ‘drive’ to use drugs or pop pills has been so deeply hard-wired into the brain for years, that we just have no defense when those urges and cravings strike. We simply cave. Usually it’s the thought “I’ll just take a couple to get me through, it will NEVER be like it was before when I lost control. I have changed, I’m different now, I got it this time.” We are delusional. It doesn’t take long before we are swept back into the insanity of active addiction, and it only gets worse, never better. Those overpowering urges may win now or they may win later, but in the end they always win. And it’s usually because we think we can manage our using well enough to get by, or it will somehow magically get better. Deep down we know we are just lying to ourselves yet again. Before we know it, we have to keep using simply to avoid the withdrawals. A brutal cycle, and it’s just no way to live. We offer a way out of this madness. While this Medication Assisted Treatment (MAT) , specifically the pellet implant, is a highly effective tool in helping you stop using now, what helps you get drugs out of your life for good is working the Program with our Counselors and Recovery Support Team as you meet life on life’s terms. This is a real-life, real-time program where you continue working, living at home, and caring for your family and responsibilities. It’s the only program of its kind, and fast becoming the new Gold Standard for Outpatient Recovery . We believe in this approach because we’ve seen the amazing results. If you want to get drugs out of your life at the deepest level of your being, and you are honestly willing to do the work in the program, you can recover, really, you can! And without the obsessions, urges and constant battles with cravings that cause so many to relapse. Simply stated, put your recovery above all else and the reality of the life you truly want will slowly begin to appear…. and as close, as vital as your own beating heart.